The AllAboutVision.com Editorial Advisory Board was formed to ensure that this website offers as much interesting and accurate information about eye care and eyewear as possible. Members include leading ophthalmologists, optometrists, opticians, and other eye care professionals. Joseph T. Barr, OD, MS, FAAO Dr. Barr is former professor, editor and ophthalmic executive. From July 2007 to May 2014, he was with Bausch + Lomb, most recently as vice president, medical affairs, Pharmaceuticals & Vision Care. Prior to that, he was with The Ohio State University for 24 years in various capacities including associate dean for clinical services and professional programs, and chief of the Contact Lens Clinical Service. During his tenure with Ohio State, Dr. Barr also spent 20 years as editor of the professional journal Contact Len Spectrum. He was founding editor of the first electronic newsletter for eye care professionals, Contact Lenses Today. Dr. Barr also spent three years as manager of clinical and materials research for Dow Corning Ophthalmics. Michael DePaolis, OD, FAAO Dr. DePaolis practices at Visionary Eye Associates in Rochester, N.Y. He is chief optometric editor of Primary Care Optometry News, adjunct clinical professor of optometry, Pennsylvania College of Optometry, and adjunct clinical associate, Department of Ophthalmology, University of Rochester School of Medicine. His research has been published in International Contact Lens Clinic Journal, Journal of the American Optometric Association, Ophthalmic Surgery, Review of Optometry, Optometric Management, and Contact Lens Spectrum, among others. Dr. DePaolis's work has also been presented at numerous scientific meetings, journal panel discussions and symposia. He is a member of the New York State Optometric Association and the American Optometric Association, and a fellow of the American Academy of Optometry. He received a BS in physiological optics and his doctorate of optometry from the Pennsylvania College of Optometry. Robert L. Epstein, MD, FACS As a nationally recognized ophthalmologist and refractive surgeon, Dr. Epstein has performed refractive surgery procedures since 1980. In 1991, he was the first surgeon in the Midwest and the third in the United States to perform LASIK. Currently he is medical director and chief surgeon at Mercy Center for Corrective Eye Surgery in Chicago, where he performs LASIK, PRK, epi-LASIK, Crystalens implantation and other procedures. Dr. Epstein has developed several patented devices, including an instrument that increases the safety and accuracy of laser vision correction. He helped develop multifocal LASIK and participates in U.S. clinical trials to investigate its safety and effectiveness for people with presbyopia. He also performs scleral reinforcement, a new procedure for excessive nearsightedness. After earning undergraduate and graduate degrees in electrical engineering, Dr. Epstein worked as a research scientist at Bell Laboratories before obtaining his medical degree from New Jersey Medical School. He completed his residency in ophthalmology at the University of Illinois School of Medicine and his MBA at the University of Chicago. 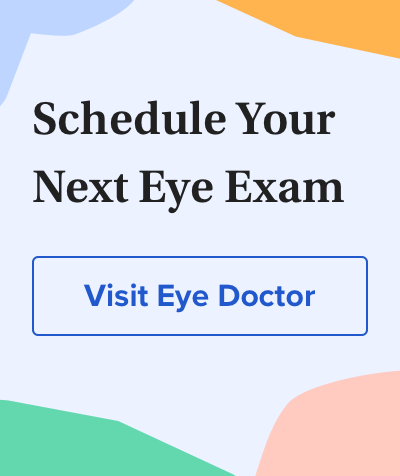 Board-certified by the American Board of Ophthalmology, Dr. Epstein is a fellow of the American College of Surgeons, of which he is former vice chief of medical staff and chairman of medical staff quality assessment. Valerie Kattouf, OD, FAAO Dr. Kattouf is an optometrist in private practice and on the faculty at Illinois College of Optometry in Chicago, where she lectures on such topics as strabismus, amblyopia, binocular vision disorders and the relationship between vision and learning. She also coordinates the Pediatric/Binocular Vision residency there. And she is an editorial council member of the Journal of Optometric Vision Development. Dr. Kattouf completed a residency in pediatrics and binocular vision at the State University of New York Optometric Center. She has presented at numerous scientific meetings on pediatric eye care and strabismus. Dr. Kattouf is a fellow of the American Academy of Optometry and a member of the Illinois Optometric Association and the College of Optometrists in Vision Development. Charles B. Slonim, MD Dr. Charles Slonim is a board-certified ophthalmologist in Tampa, Fla., adjunct professor of ophthalmology at the University of South Florida College of Medicine in Tampa and clinical associate professor of ophthalmology at the University of Florida College of Medicine in Gainesville. He teaches oculoplastic diseases, diagnoses and surgeries as well as contact lens technology. Dr. Slonim also is president-elect of the Florida Society of Ophthalmology and a member of the American Society of Ophthalmic Plastic and Reconstructive Surgeons. He received Honor Awards from the American Academy of Ophthalmology in 1993 and the Contact Lens Association of Ophthalmologists in 1998. And in 2010 he received the Health Care Heroes Lifetime Achievement Award from the Tampa Bay Business Journal. He has lectured extensively to ophthalmologists, optometrists and other physicians in more than 56 cities in more than 35 countries throughout the world. He has published 34 ophthalmic journal articles, 17 ophthalmic book chapters and 11 clinical symposia. In 2011 he published a book called Eye Was There: A Patient's Guide to Coping with the Loss of an Eye.